The Jews are being defeated and Nabucco (Nabucodonosor) is poised to enter Jerusalem. The High Priest Zaccaria tells the people not to despair but to trust in God. 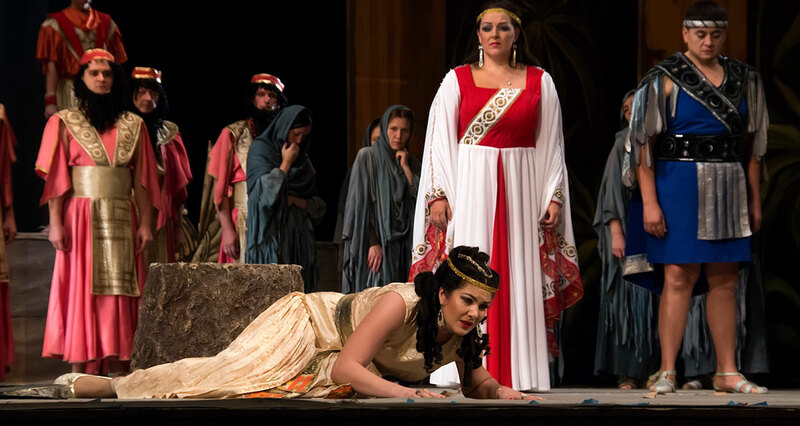 The presence of a hostage, Fenena, younger daughter of Nabucco, may yet secure peace. Zaccaria entrusts Fenena to Ismaele, nephew of the King of Jerusalem and a former envoy to Babylon. Although Fenena and Ismaele love each other and left alone, Ismaele urges her to escape rather than risk her life. 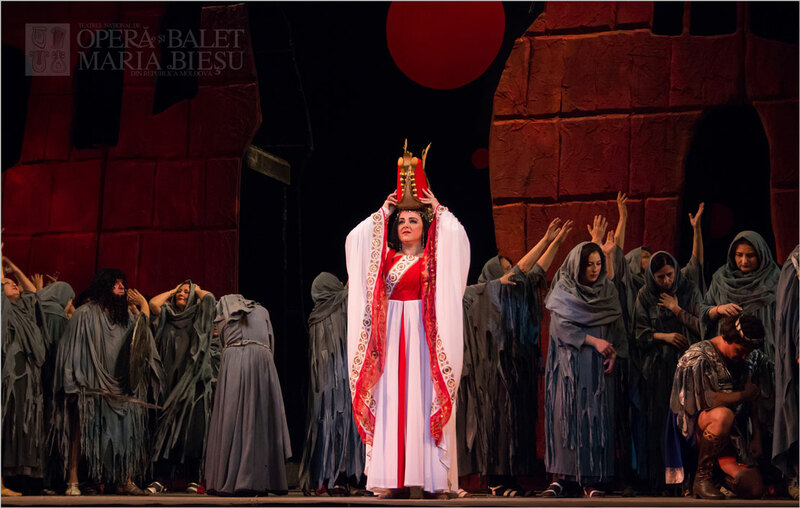 Nabucco's elder daughter, Abigaille, storms into the temple with soldiers in disguise. She, too, loves Ismaele. Discovering the lovers, she threatens Ismaele: if he does not give up Fenena, Abigail will accuse her of treason. 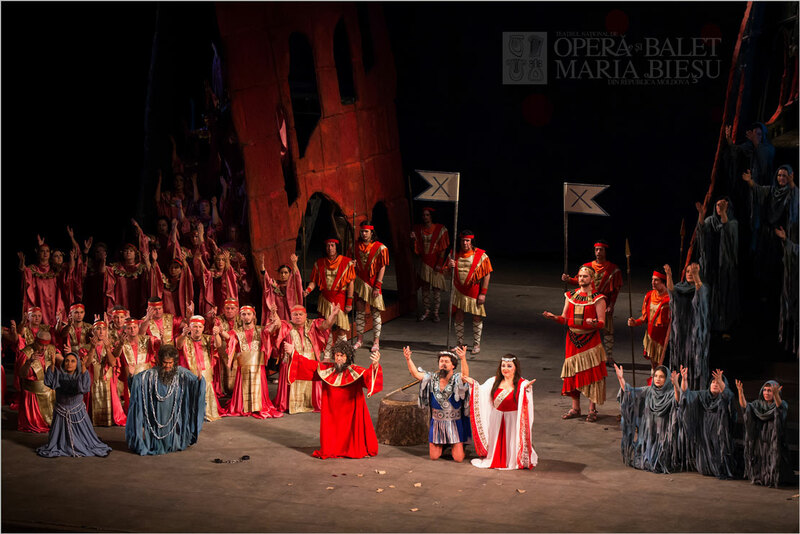 The King himself enters ('Viva Nabucco'). Zaccaria defies him, threatening to kill Fenena with a dagger. Ismaele intervenes to save her. 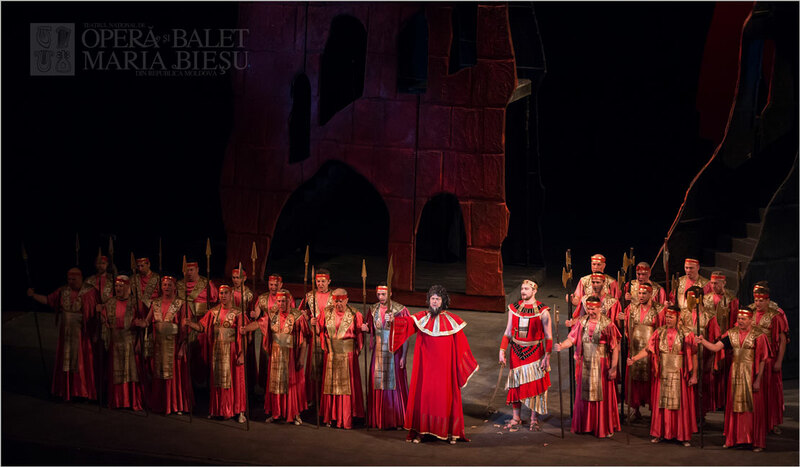 Nabucco responds by ordering the destruction of the temple, and the Jews curse Ismaele as a traitor. Abigaille discovers that she is not the king's daughter, but a mere slave. She is enraged, for while Nabuco is devastating Judaea he has entrusted his throne to Fenena, who no longer hides her love for Ismaele. Mad with jealousy, she curses and threatens everybody, believing that the only thing she can do is kill Fenena and the king or take her own life. When the High Priest of Baal arrives accompanied by the court dignitaries, she learns that Fenena has decided to free the Hebrews. Having spread the rumor that Nabuco has been killed in the war, the High Priest and the others encourage Abigaille to seize the throne. Fenena is converted to the Jewish religion, and Ismaele is reconciled to the Jews. However it is announced that the King is dead and Abigaille and the High Priest of Baal demand the crown from Fenena. Unexpectedly, Nabucco himself enters, scorning both sides, both Baal and the Hebrew god that he has defeated. He declares himself God. 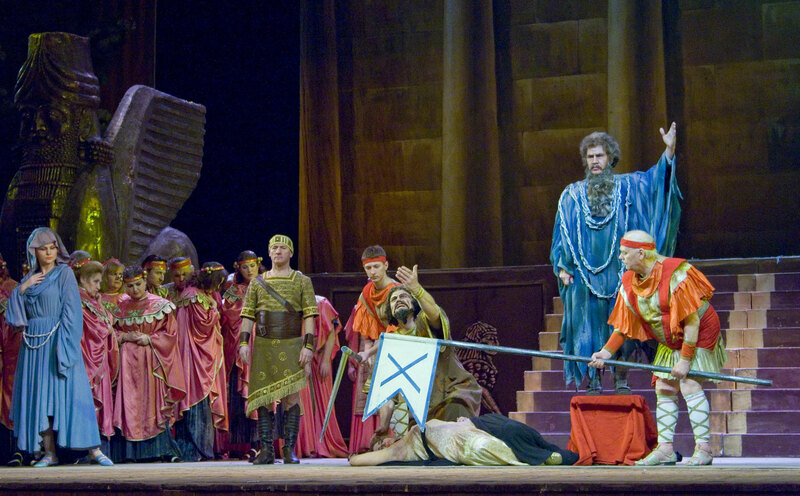 When Zaccaria objects, Nabucco orders the Jews to be put to death. Fenena says that she will share their fate. Repeating that he is now god ('Non son piu re, son dio'), Nabucco is promptly hit by a thunderbolt and loses his senses. The crown falls and is picked up by Abigaille. The High Priest presents Abigaille with the death decree for the Jews and Fenena. Nabucco enters looking like a mad man, claiming his throne. Abigaille persuades him to seal the decree, but he asks that Fenena be saved. He tells Abigaille that she is not his true daughter but a slave. Abigaille mocks him, destroying the document with the evidence of her true origins. Understanding that he is now a prisoner, he pleads for Fenena's life. Abigaille exults. The Hebrews are in chains and forced to work: from exile their thoughts fly to their beloved homeland of the river Jordan and Jerusalem, from which they draw consolation and fresh heart ('Va pensiero, sull'ali dorate'). Zaccaria encourages them with his prediction of their forthcoming liberation and urges them to rebel. 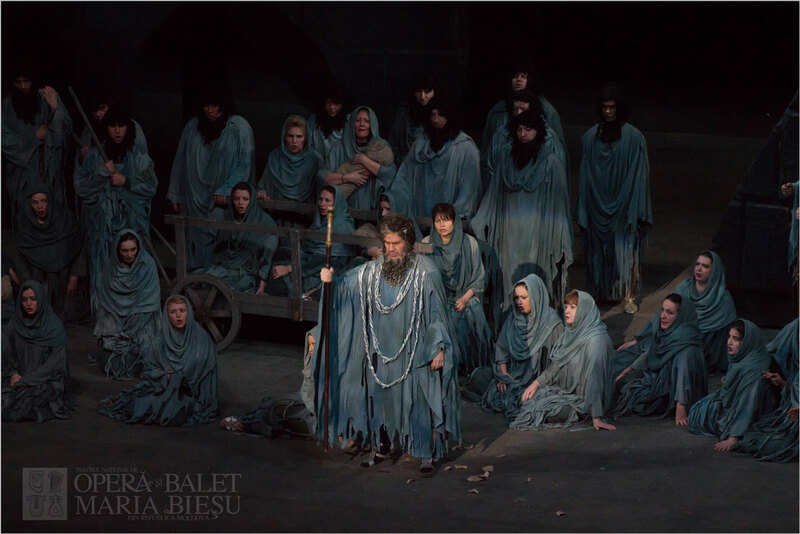 Nabucco, a prisoner in the palace, is alone, desperate and confused. When he hears the distant shouts that accompany Fenena's sacrifice he shakes himself and suddenly his mind is cleared. He kneels to pray, begging forgiveness not of his god but of the God of Judaea, for whom he promises to build a temple. Mentally restored at last, he takes Abigaille's sword and races out of the prison followed by his soldiers. Zaccaria blesses Fenena and the Hebrews move towards their execution as the girl looks serenely towards heaven and invokes the liberation of death. Nabuco bursts in with Abdallo and the Babylonian soldiers, while the statue of Baal hurtles to the ground mysteriously shattered. The old king stops the sacrifice of all the condemned prisoners and embraces his daughter. Then, recognizing the God of Israel, he kneels and participates in a hymn to Jehova. World Premiere: March 9, 1842, at La Scala Theatre, Milano. 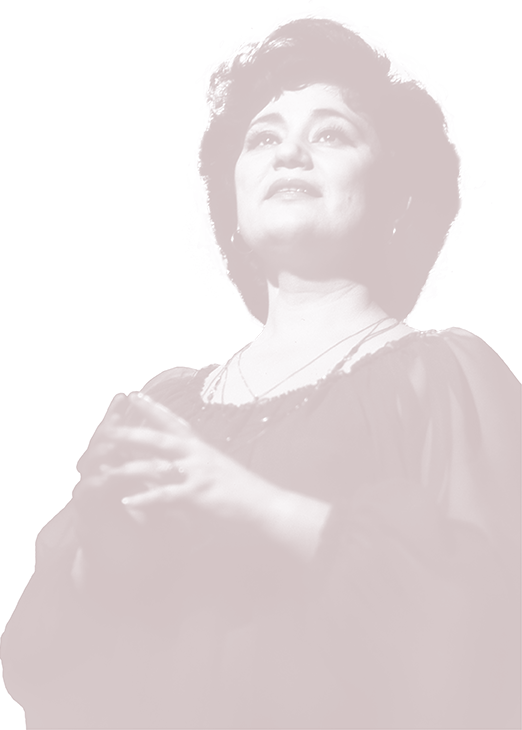 Premiere in Chisinau: October 16, 1992, at National Opera of the Republic of Moldova.